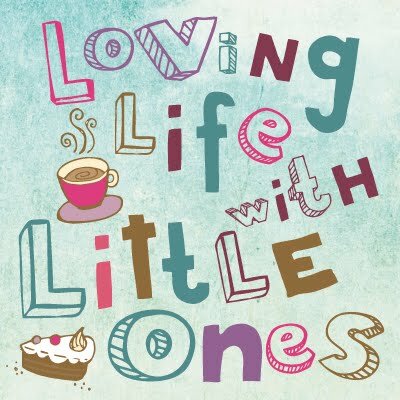 It is a big event for us today, today is Little 3's first birthday, my little boy is growing up, my last baby is not officially a baby anymore he has become a toddler, eek. The past year has had it's ups and downs but the last few weeks with my little boy have been great. As Daddy was at work and the girls were at school and preschool all day today, the actual day of his birthday, and knowing that he would just be tired and grumpy by the time everyone was home in the evening, we decided to be a little naughty and celebrate his birthday yesterday instead. We had already spent Saturday with the help of the girls making Little 3's birthday cake, a simple victoria sponge with buttercream all over it and chocolate buttons in the form of a 1 and we took the children swimming and to the park followed by flapjack and hot chocolate in the leisure centre cafe. Sunday morning was spent playing with the fisher price garage we had cleaned and brought down from the loft (it had been little 2's as a toddler) and opening presents. Later on we'd invited the cousins and grandparents over and had a proper Sunday tea which was lovely. I tried to do a mini photoshoot with some balloons and the girls in the hope of getting some nice pictures, we ended up getting rid of the balloons as Little 3 preferred to try and eat them but we got some nice snaps. Aww! How adorable. Happy Birthday to your boy.